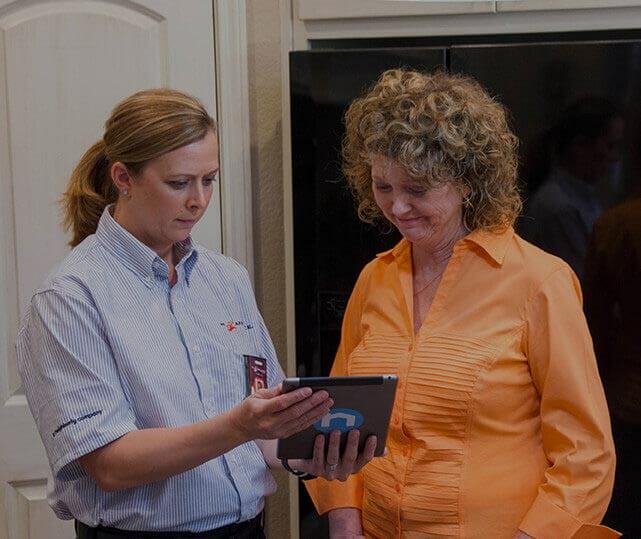 Need to schedule appliance repair during the holidays? Our call center will be open to schedule service for you! Call us today, or schedule service online! Appliances are investments for your home and business that make life easier. A lot of time and energy goes into selecting the right unit for your needs. When one breaks down, it can feel like your whole day comes to a halt. Rather than trying to find a new fridge or freezer, turn to Mr. Appliance of Katy. We offer reliable appliance services in Katy that will have your appliances working like new again! At Mr. Appliance, we’re considered the authority in appliance services for a reason! It’s hard to tell how much your appliances really do for you until they break down – then it becomes all too clear! If your fridge is leaking or your dryer overheated, there is only one name to trust – Mr. Appliance. There’s a reason we’re considered the authority in appliance repairs. Mr. Appliance of Katy is a locally owned and operated company, meaning we have deep roots within our community. Most of our customers are our neighbors, friends, and family. We provide each person with the same level of care and attention to detail we would our moms. Additionally, when you call our skilled appliance experts in Katy, you won’t just receive quick patch-ups for your units. We take the time to carefully diagnose the issue and find the root of the cause. We then provide lasting, cost-effective solutions. Because as much as we love visiting our customers, we know you only want to see us once! Call (281) 942-4232 for Quality Repairs & reliable service!